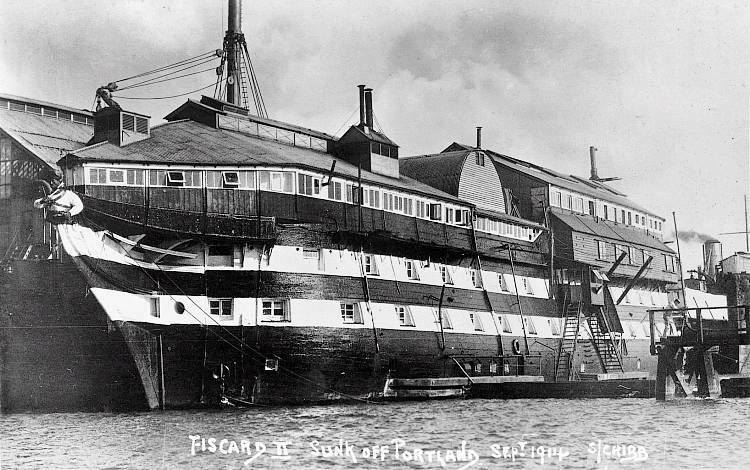 Fisgard III (ex-HMS Hindostan) at Hardway. Ignore the caption on the photo itself – this is NOT Fisgard II, and it wasn’t THIS ship which sank. Credits to original photographer.